It’s all about what the great Australian outdoors has to offer, the only thing missing is you! 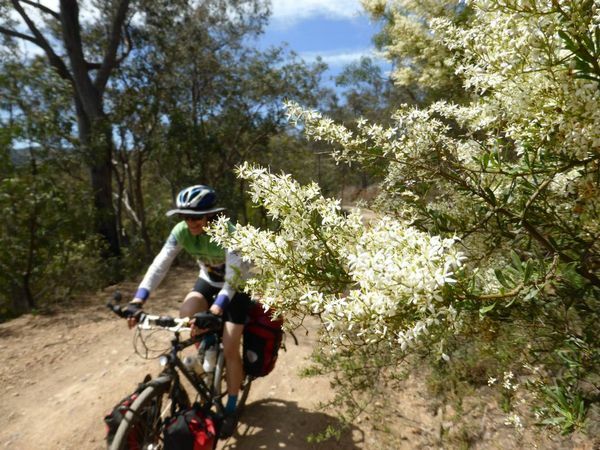 There’s nothing quite like the ‘spirit of place’ and freedom you will experience when riding a bicycle on an isolated back road through farmland, along a bush track, over a mountain range, or across a desert. The satisfaction and sense of independence is incomparable. The Melbourne Bicycle Touring Club has been running recreational rides and tours continuously since 1973. Check out our rides program and see what’s coming up this weekend. We have rides ranging from the easiest to the most difficult, from a few hours to a few days, weeks, or even months, there is something here for everyone. We also run regular social nights at various venues near the CBD, as well as club meetings throughout the year. For more information about MBTC please feel free to take a ride through our website. Easter Murrindindi high plains ride,four day ride. We are listing a few rides each month that are most suitable for introductions to the club for new members. These are rides from the club program, they are run and supported by club members so that we can present our club story to those who choose to join us in our travels.